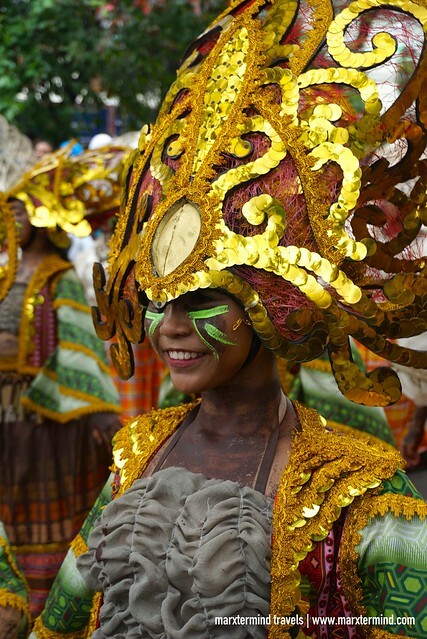 While most of the travelers wanted to complete the 81 provinces in the Philippines, my personal travel goal is to go to a festival in the country at least once in a year. 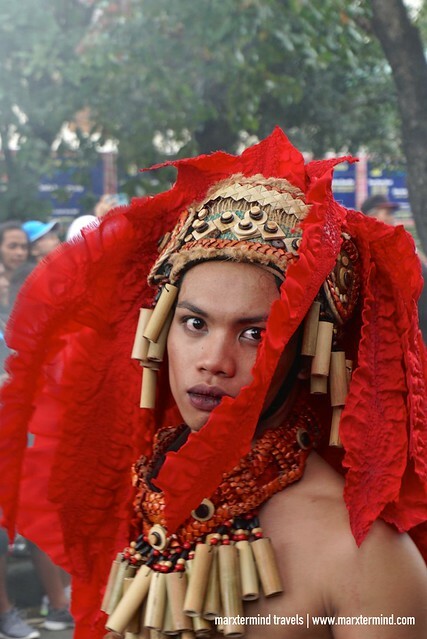 So this year, I went to Iloilo to finally witness Dinagyang Festival. 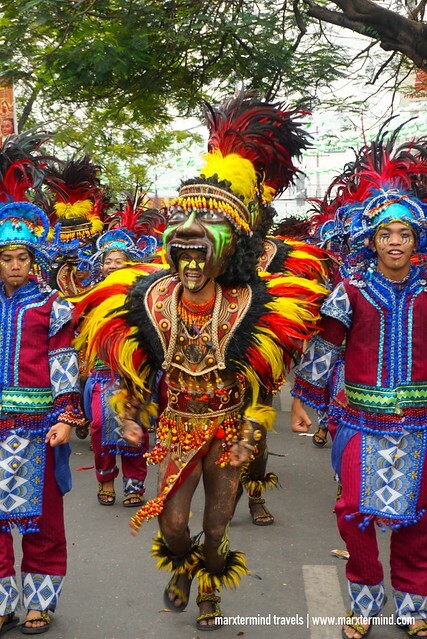 Dinagyang Festival is a religious and cultural festival in Iloilo City. 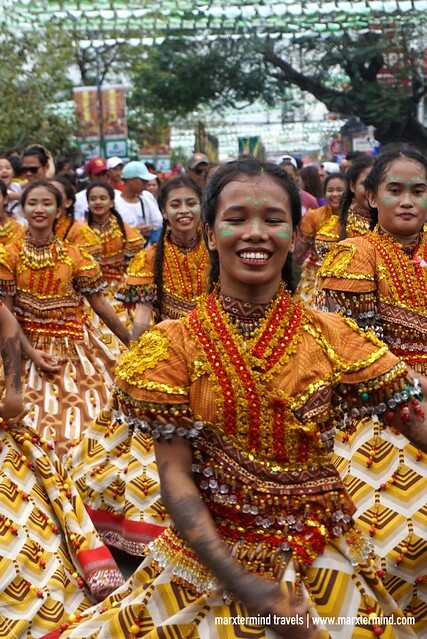 This festival showcases the colorful history, timeless tradition, devotion, and fun-loving spirit of the Ilonggo people. 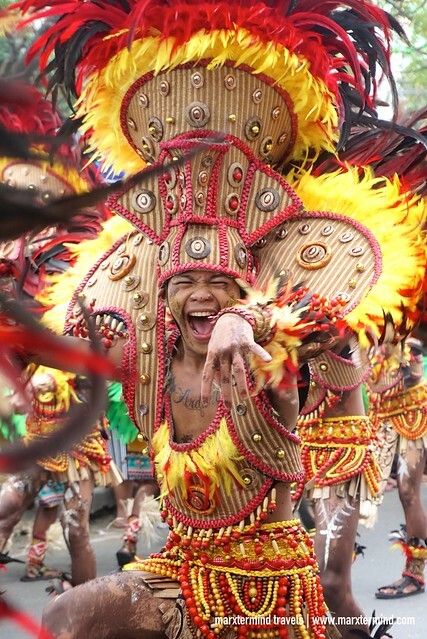 One of the most spectacular religious and cultural events in the country, Dinagyang Festival is a celebration to honor the Sto. Niño. The festival is also to commemorate the arrival of the Malay settlers and the legendary barter of Panay Island from the natives called Ati. 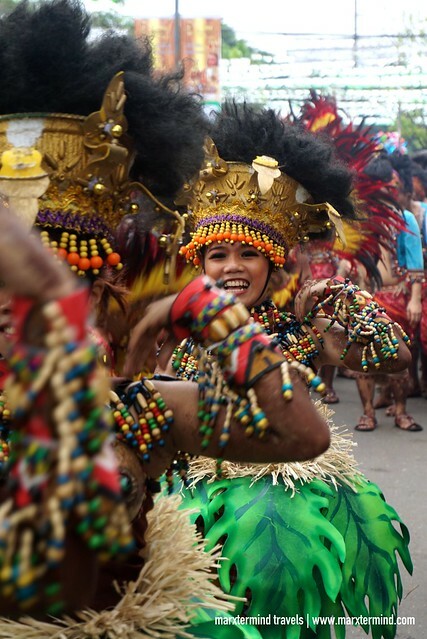 It is celebrated every fourth weekend of January where the streets in the city of Iloilo come alive. 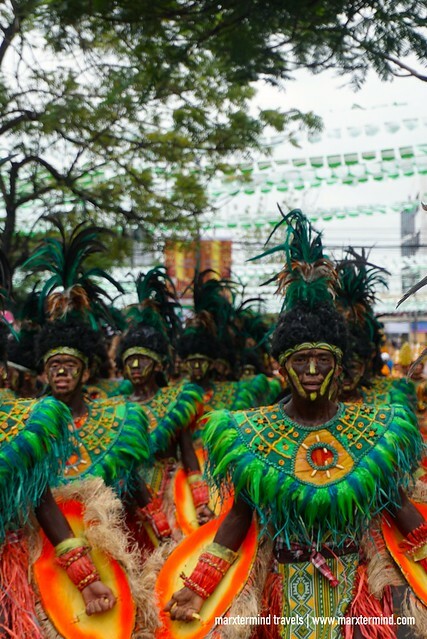 Dinagyang Festival is also a month-long event with activities such as pageantry, sports events, cultural competition, float parade of lights, and fluvial and foot procession among others. But the most anticipated part of the festival is the Ati Tribes competition, which my friend and I were able to witness. It was timely that we attended this grand festival on its 50th year. We actually didn’t know that. My friend and I just learned about it when we were already in Iloilo. 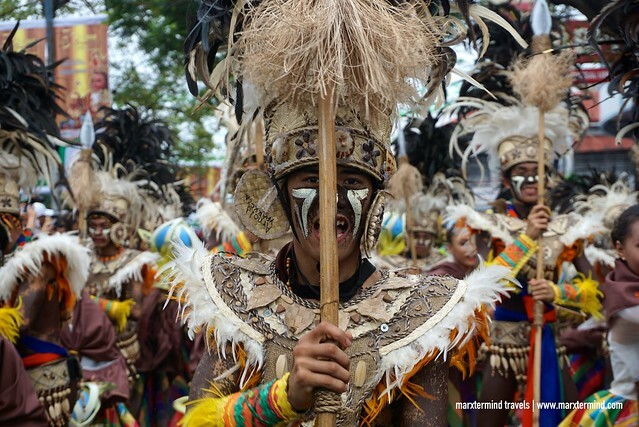 The Ati Tribes Competition is the highlight of Dinagyang Festival. This is a grand cultural performance that happens on the fourth Sunday of January. Competing tribes are composed of warrior-dancers who are all smeared with dark brown body-paint. 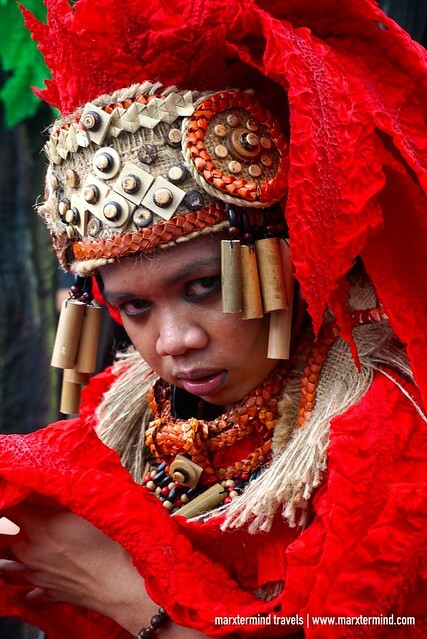 Each tribe also performs folkloric scenarios with choreographed formations, remarkable props and costumes. 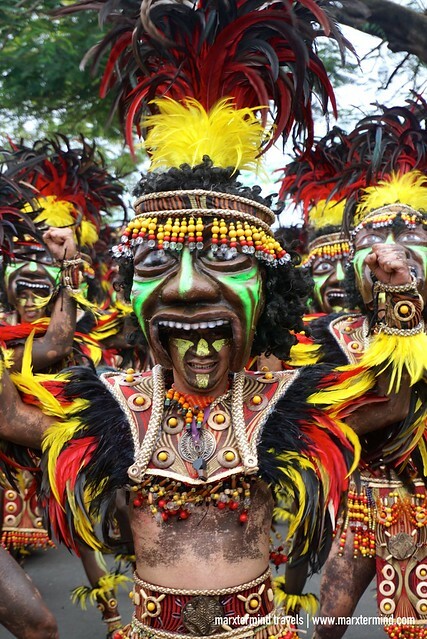 The tribes also dance to their chants, loud drumbeats and ethnic musical instruments. This year, there were 10 tribes who joined the competition. 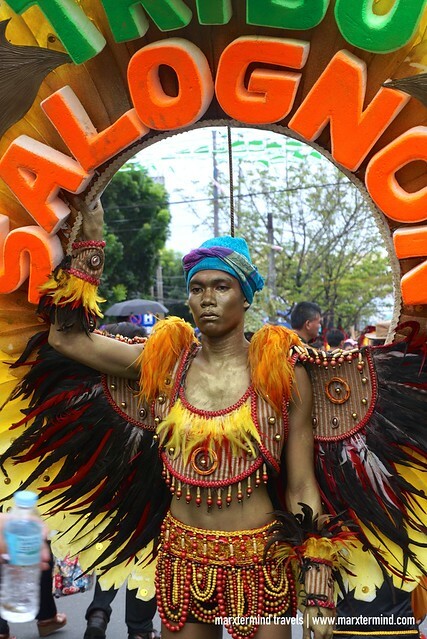 The competing tribes include Tribu Salognon of Jaro National High School, Tribu Paghidaet of Lapaz National High School, Obreros of Barrio Obrero National High School, Ilonganon of Jalandoni National High School, Dagatnon of Ramon Avanceña National High School, Panayanon of Iloilo City National High School, Buntatalanit of Tiu Cho Teg Ana Ros Foundation Integrated School, Pan-ay of Fort San Pedro National High School, Amihan of Mandurriao National High School, and Suludnon from Capiz. Because we didn’t buy tickets to watch the show on stage, we just caught the performance on the street. We checked the parade route online. We went to a street near Iloilo Provincial Capitol and there, we waited for the street dance. Here are some of the photos I took of the performance of some of the competing tribes. Best Float Illumination – International Pharmaceutical Inc.
1st Runner-up – International Pharmaceutical Inc. 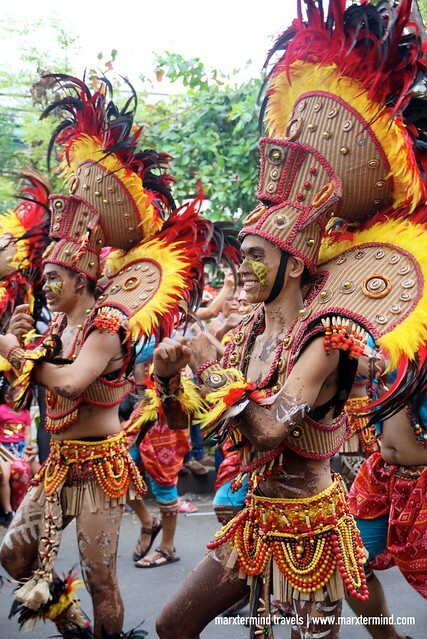 I was glad that I finally able to go to Iloilo for Dinagyang Festival. It was indeed a great experience. I admired the kids and everyone who were part of this grand event. The colourful and vibrant performances of each competing tribe also showed how rich in history and tradition this festival is. 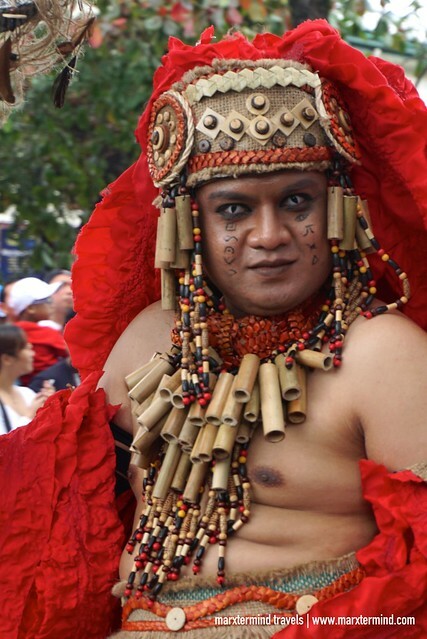 Now that I experienced Dinagyang Festival, what festival in the Philippines do you think should I go next? *Watch this YouTube video for my Dinagyang Festival 2018 experience.